Scotch Gambit 4...Bc5 - Chess Gambits- Harking back to the 19th century! The 4...Bc5 variation usually transposes into the Giuoco Piano after 5.c3 Nf6, but both sides have sub-optimal alternatives along the way. Instead of 5.c3, 5.Ng5 doesn't work out very well for White after the surprisingly effective 5...Nh6, while 5.0-0 is ineffective because of 5...d6, intending 6.c3 Bg4 putting the f3-knight in an irritating pin against the queen. White's best attempt to generate play is with 7.Qb3 attacking b7 and f7, but then after 7...Bxf3 Black gets too much counterplay against White's weakened kingside. Thus White's only serious challenge to Black's idea is 5.c3. Then 5...dxc3 is probably sub-optimal because of 6.Bxf7+ followed by Qd5+ and Qxc5, as noted in the coverage of the line 4.c3 dxc3 5.Bc4 Bc5. 5...d6 is passive and allows White a strong centre. 5...d3 is perhaps not as bad as its reputation, for I think White only gets a small edge against this following 6.b4 Bb6 7.0-0, but it is not as reliable as 5...Nf6. 5...Qe7, counterattacking against e4, is not very strong after 6.0-0, with the idea 6...dxc3 7.Nxc3 threatening Nd5, or 6...d3 7.e5. This line is very important as it is often recommended to beginners, and White has no good alternative to playing into it following 4.Bc4 Bc5. The sidelines 6.e5 and 6.0-0 are both better than their reputations, and the 6.e5 line has often been favoured by Sveshnikov, whereupon Black has to find 6...d5! 7.Bb5 Ne4 8.cxd4 Bb6! in order to get an equal game (instead 8...Bb4+ is often encountered at club level and gives White good chances of securing some advantage). In the case of 6.0-0, Black has to find 6...Nxe4 7.cxd4 d5 8.dxc5 dxc4 in order to keep the game level, and White should keep the queens on with 9.Qe2 rather than initiating a brief flurry of activity against the black king with 9.Qxd8+ Kxd8 10.Rd1+ Bd7, which if anything leaves Black with the edge. Instead after 6.cxd4 Bb4+, 7.Nbd2!? appears to be the most promising of White's seventh-move tries, giving White reasonable compensation for a pawn after 7...Nxe4 (probably best) or a decent "isolated queen's pawn" position following 7...d5 8.exd5 Nxd5 9.0-0. 7.Bd2 is safest but can lead to rather drawish situations, and Black has a choice of equalisers: 7...Nxe4!? is good, intending 8.Bxb4 Nxb4 9.Bxf7+ Kxf7 10.Qb3+ Kf8 (10...d5!? 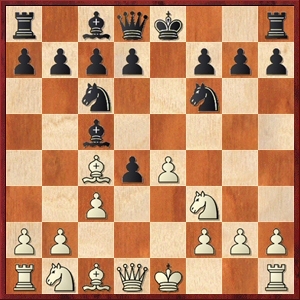 is a more double-edged try which should also equalise) and 7...Bxd2+ 8.Nbxd2 d5 9.exd5 Nxd5 10.0-0 0-0, or 10.Qb3 Na5, though the latter allows White a forced draw by repetition if he/she wants it. 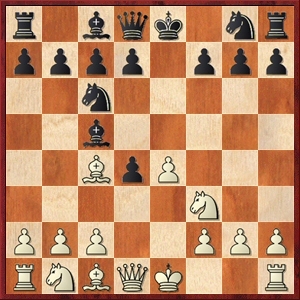 Greco's Attack with 7.Nc3 offers practical chances but is rather dubious. Following 7...Nxe4 8.0-0 Bxc3, White's best chance is 9.d5, the Møller Attack, but White is struggling to prove adequate compensation for the pawn after 9...Bf6 and 9...Ne5. I have provided one illustrative game in each of those lines and White's prospects are pretty grim if Black plays accurately, though in practice Black quite often goes wrong. In summary, I think beginners are fine trying out the old main lines with 7.Bd2 and 7.Nc3, but that club-level players upwards are advised to try 7.Nbd2 or 6.0-0 or 6.e5 instead.